Your social calendar always has you on the go from one gala to the next — and you are always the life of the party. This grand-size eau de parfum lets you live as large as your personality, bursting with the luscious scent of wild berries and bright jasmine. 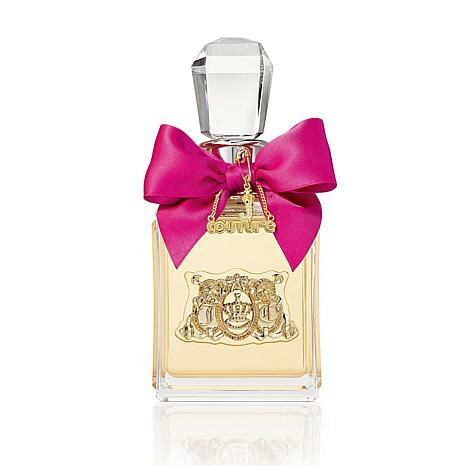 Embrace the decadence of your Juicy Couture. I dont usually buy perfumes without smelling them first but I took a chance and was so glad I did. It smells so good. I really love it. And has dince purchased more. Love love love it. 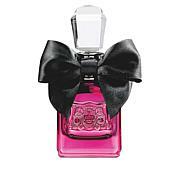 I love this scent, one of my favorites and the size is huge. I received early morning on Monday. I immediately applied one spray to my wrist, rubbed wrists together (although I dont usually rub together). Over twelve hours later, I could still smell the scent on my wrists. At first spray, scent seemed strong. Throughout the day it softened, to me, but I still received compliments through the end of my work day. What amazed me was that, I could still smell it on my wrists, post workout. Amazing! I have a new favorite! Such a beautiful scent that can make a girl in her 70s feel very special. This cologne is youthful and lasting. Truly of superior. Love Juicy ! This is EXACTLY what I needed. 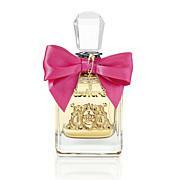 Juicy Couture I Love Juicy Couture EDP 1.7 fl. oz.